In this extraordinary picture book, author Joan Schoettler imparts the life of a remarkable woman, teacher, and artist. 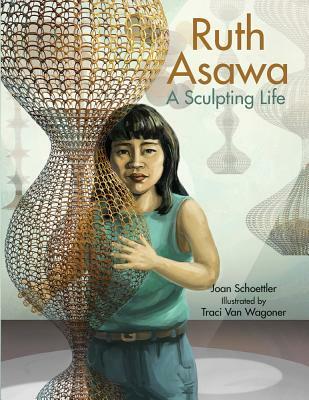 From the Japanese-American internment camps to the creation of the San Francisco School of the Arts, Ruth Asawa's life journey is one filled with injustice, learning, and expression. Known as the "Fountain Lady" of San Francisco due to the many fountains she designed, Asawa experimented with unconventional mediums, using lines, space, and wire to create dimensional sculptures. The thorough research of illustrator Traci Van Wagoner is vividly apparent in the dynamic depictions of Asawa and her life that are sure to fascinate and inspire young readers.